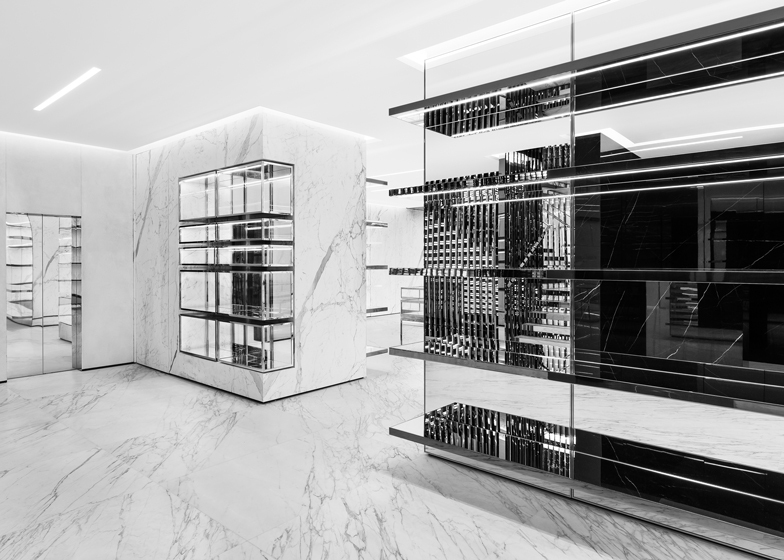 Fashion house Saint Laurent's creative director Hedi Slimane has designed a new store for the brand in London, with a marbled and mirrored interior similar to the label's flagship retail outlet in Paris (+ slideshow). 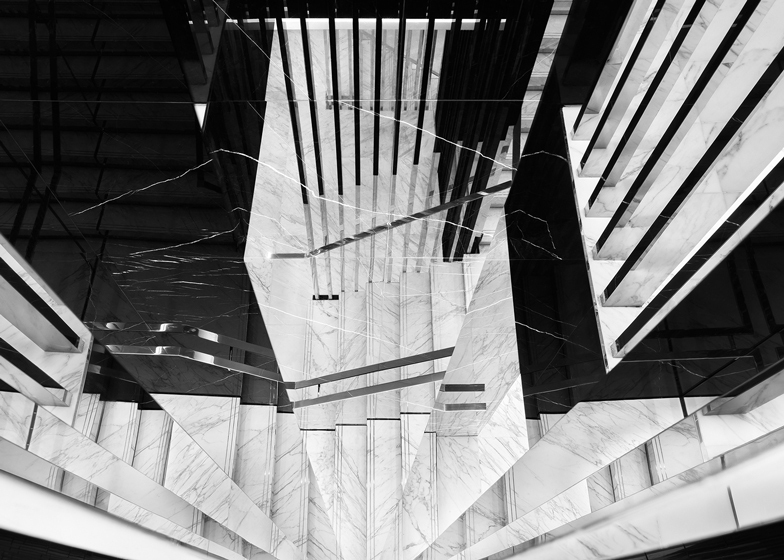 The Sloane Street branch is latest Saint Laurent store to open since Slimane took the reins of the brand in 2012 and dropped the "Yves" from the front of its name. Its Art Deco-inspired interior is based on the principles of the Union des Artistes Modernes, an art and architecture movement that was prevalent in France during the first half of the twentieth century and championed simplicity and quality of materials. The same philosophies were applied to the brand's flagship store on Avenue Montaigne in Paris. 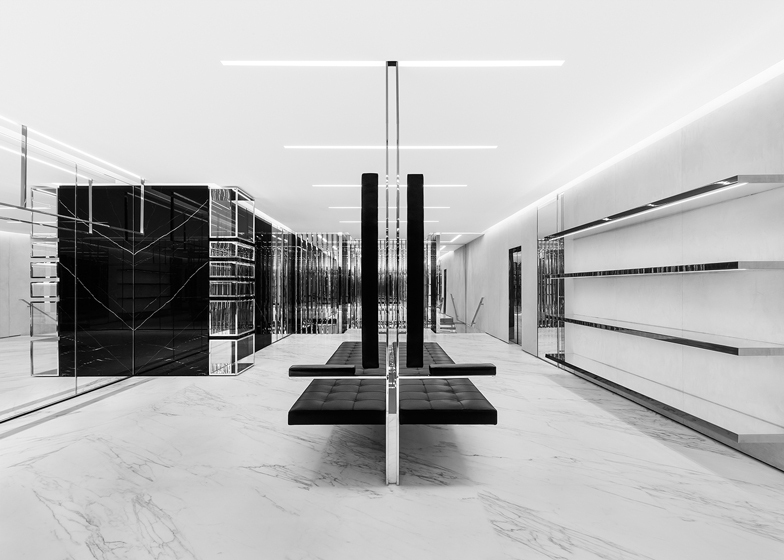 "The Saint Laurent architectural concept is adaptable and specific to individual spaces and cities," said a statement from the brand. A monochrome palette of marble and concrete runs throughout the space, which is minimally furnished with designs by Modernists including Jacques Adnet, René Herbst and Marcel Breuer. 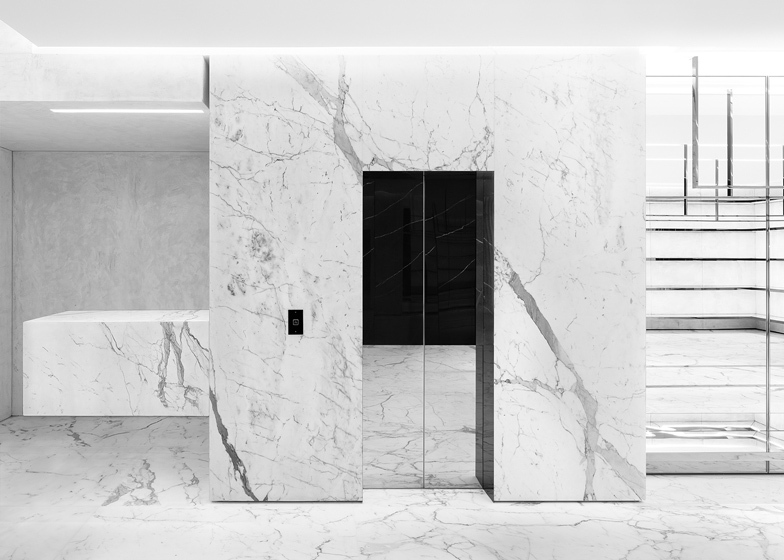 "The concept and architecture, designed by Hedi, is based on a minimalist translation of the techniques and materials of the French Modernist movement," the brand stated. 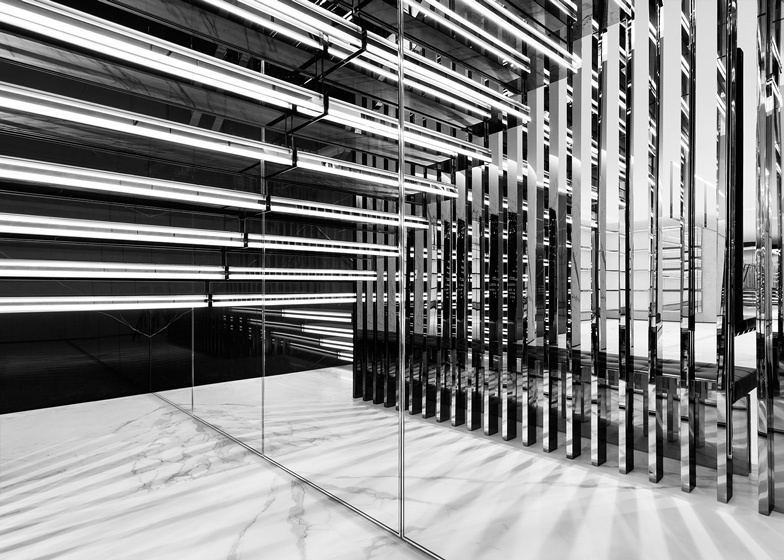 Vertical slats covered in mirrors conceal the staircase, and reflective surfaces are also used on walls and shelves for displaying garments and accessories. Glass vitrines embedded into the walls are framed with nickel. Photographs are courtesy of Saint Laurent.